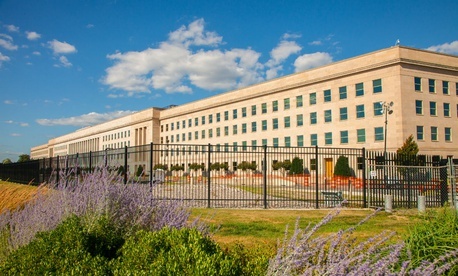 “As a result of this scheme, which was perpetuated at Fort Stewart, Ga., and at other military installations across the United States, millions of dollars in defense contracts wrongfully were awarded to Arena Americas instead of legitimate small businesses,” said Bobby Christine, U.S. Attorney for the Southern District of Georgia, in a statement. "The U.S. Attorney's Office will not tolerate any attempts to illegally exploit the system for a company's personal advantage” in obtaining the set-asides that Congress intended as a tool to help grow small businesses. In addition to the financial settlement, Military Training Solutions owner Robert Obradovich previously had pleaded guilty to one felony of receiving unlawful kickbacks in a similar scheme, the Justice Department said. Arena America's global headquarters is in London, but it has branches in California, Illinois, Wisconsin, New Jersey and Florida. Small business contracts prohibit a small business from being affiliated with a large business, and limit the amount of work that can be subcontracted.